and then you start asking yourself...what goes first... the amount of steps or the start of the sequence...? The following image summarizes (most) of what you need to know to generate a ranged expression in DynamoBIM. 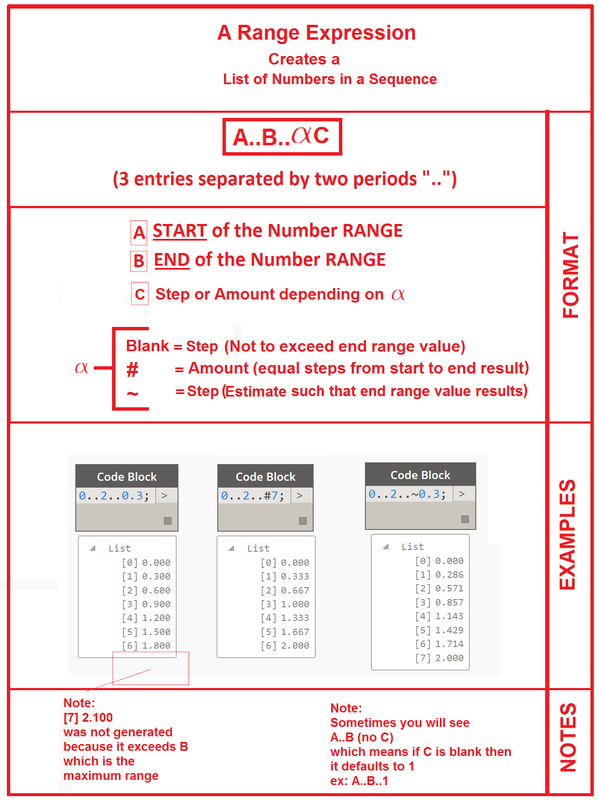 Use this image as a cheatsheet next time you want to generate a number sequence in DynamoBIM! Thanks Marcello for your effort to 'demystify' Dynamo. I find your posts quite helpful.